H Squared Systems specializes in software products that assist Hospitals and Healthcare organizations, Emergency Responders, and other service companies in tracking and safeguarding Patient belongings and valuables. 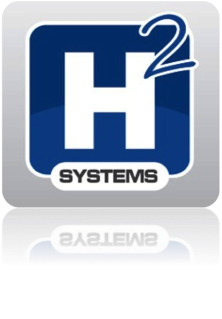 - H Squared Systems specializes in software products that assist Hospitals and Healthcare organizations, Emergency Responders, and other service companies in tracking and safeguarding Patient belongings and valuables. Our software applications offer an integrated suite of powerful tools. Click here to see if you qualify for a free trial period! H Squared Systems is an innovative software applications company that specializes in products designed to assist Healthcare organizations, Emergency Responders, and other service companies related to the Healthcare field. Our software applications offer an integrated suite of powerful tools. These tools help multiple Support Services Departments and inter-related service companies successfully achieve a common goal more efficiently, more economically, and with greater results. Those results include reduced costs, improved patient satisfaction, and fewer adverse outcomes. We are committed to improving your current processes and functionality while simultaneously providing a number value added services and features. we offer and Contact Us to learn more about how we can help your organization today. Website by: Digital Media Design, Inc.